The stout flavor really comes through in this unique recipe. It really adds to the richness of the cocoa, and the whole recipe is rounded out with the sweetness of our vanilla extract. Sift together the flour and Rodelle Gourmet Baking Cocoa into a medium bowl. Melt semi-sweet chocolate in a bowl in the microwave, or over boiling water. In a small pan, over medium heat, melt the butter until just golden brown. Pour brown butter into small bowl. Scrape the pan to get the brown bits. In the bowl of a stand mixer, with paddle attachment, beat together the eggs and sugar until thick and shiny, about 2 minutes. Continue beating on low while alternately adding flour mixture and wet ingredients, finishing with Rodelle Vanilla Extract. Do not over mix. Fold in the chocolate chips. Pour into a floured 9x9 pan. Bake at 350 for 40-45 minutes. Looking for more brownie inspiration? Try our Laces Out Brownies - easily make them into your favorite shape with cookie cutters, or just leave them whole! 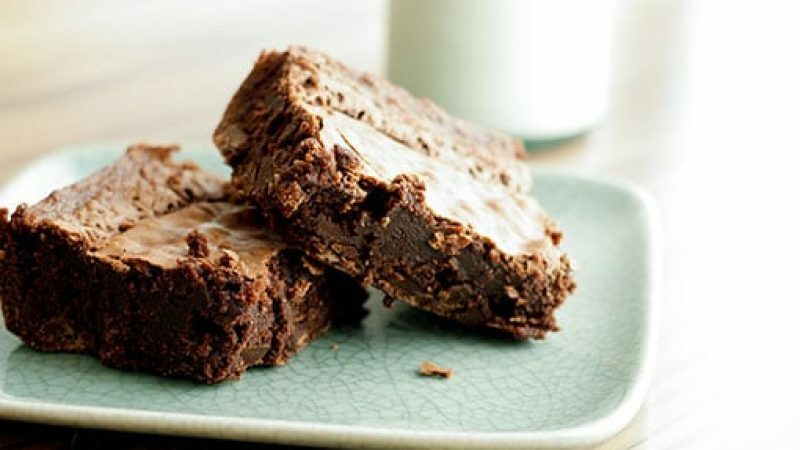 We've got a healthy, but still delicious, recipe for Black Bean Brownies, too!